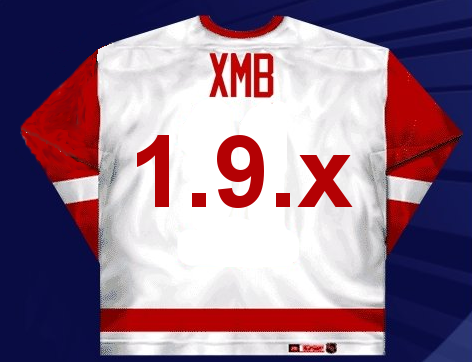 Today, We are announcing version 1.9.11 as the official completion of the XMB 1.9.x series. 1.9.11 is now released and has enough core features that should make it a viable package for a good long time. We have no immediate plans to start another software package and we are committed to this being the only release for the year 2009. We will remain committed to support and create hacks for the new package for the remainder of this year. We all need a little finality to the 1.9.x line and we feel this is the package to rest our hats on. Now, upgrading should be done with the confidence that there won't be another requirement to upgrade for a long, long time. It is easily conceivable that the next required upgrade from 1.9.11 may be as long as three years from now. We will be offering patch upgrades for security for 1.9.10 and security and bugfixes for 1.9.11. We thank the XMB community for the continued support! 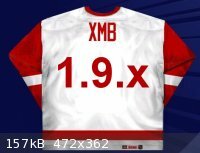 In honor of the occaision we provide the retired Jersey to hang into perpituity in the XMB Arena! We ask that all mod developers and developers in general please help us to make this the flagship package. We really need help in providing the modifications needed by the users to get them to upgrade from the very old buggy packages into this much more stable and secure package. Everyone benefits! !